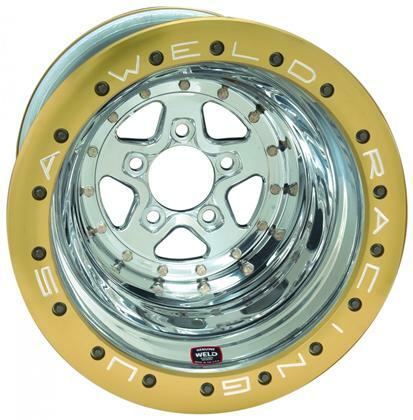 This five-spoke wheel is the most recognized racing wheel by which the industry sets its standards. The AlumaStar 2.0 version is arguably the most popular wheel in drag racing due to its style, strength, and lightweight status. The wheels are constructed with polished aluminum rim shells and forged 6061-T6 centers. 15” and 16” Double Bead-loc applications available with polished, gold anodized, or black anodized bead-loc rings.